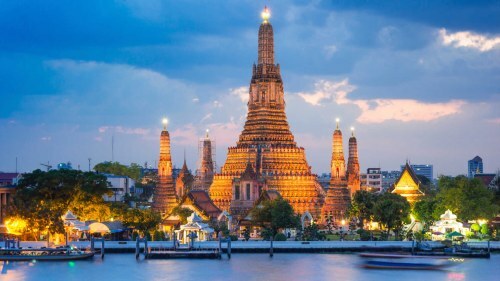 Air China is *allegedly* going to be having another flash sale, this time from Vancouver to Bangkok, Thailand or Mumbai, India for $499 CAD roundtrip including taxes. The number of available dates also varies a lot with their sales. Sometimes there are many dates available, sometimes there are very, very few - to the point where marketing it as a flash sale is outright deception. UPDATE: As reported below, the true availability for travel with this flash sale appears to be just September and October 2018. NOTE: Air China usually releases theses fares around 11:55 PM PST. In other words, you would need to stay up late on the night of Thursday, August 23rd. OVERALL: Very disappointing, as has been the case with the last 3 or 4 'flash sales' from Air China. I'd say they definitely lie about the range of dates being offered. 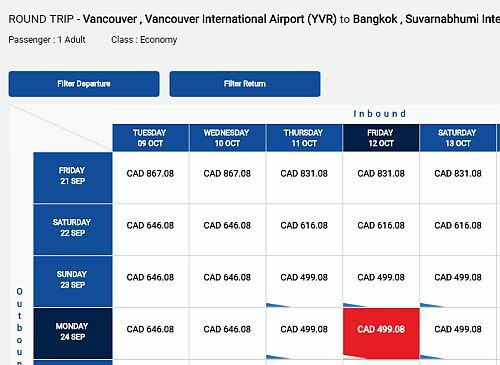 vancouver, yvr, flight deals, asia, bangkok, thailand, southeast asia, air china, mumbai, india, bom, south asia and bkk asia. 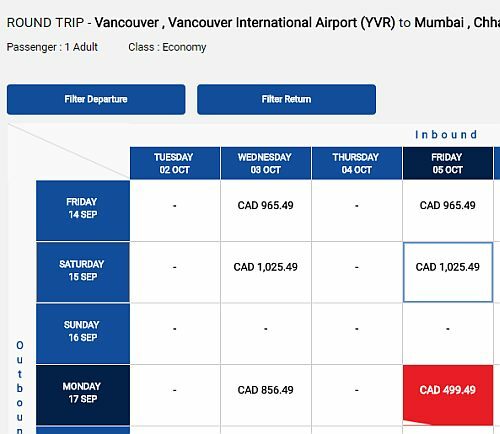 5 Responses to "Vancouver to Bangkok, Thailand or Mumbai, India - $499 CAD roundtrip including taxes"
Chinese deceive & BS, no such price. Total waste of time!! I agree that Air China's 'flash sales' have become a joke. I posted an update, showing what I've seen. There are some $499 dates in September / October 2018 to either Bangkok or Mumbai. But I haven't seen any in any other months. Back in July 2017, when they had the same offer to Bangkok, there were quite a few dates available in most months between November and May. This time, I'd say their stated date range for availability has been a lie.